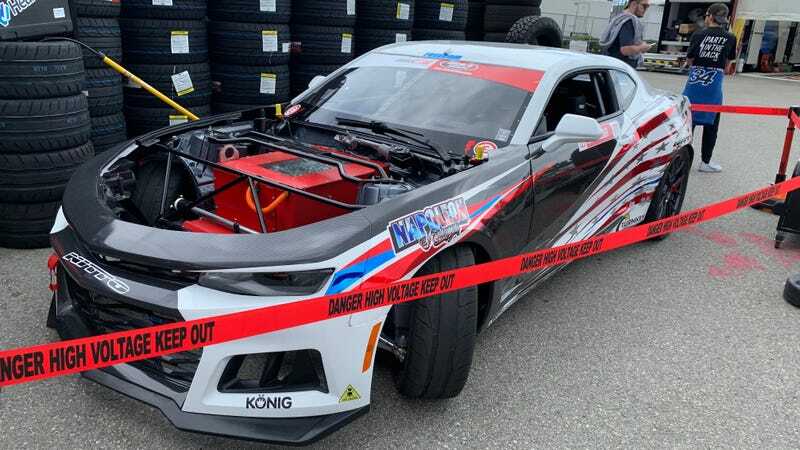 There is a ridiculously awesome electric Camaro drift car in Long Beach this weekend for the season opening round of Formula Drift, but here’s the thing, it can’t compete. I was really looking forward to seeing it compete while I was here, but alas, red tape has prevented it from running. It’s still sitting in the pit complex, in case you wanted to see a big electric Chevy-shaped paperweight. According to @formuladerp on Instagram, the Long Beach fire department is not prepared to battle an electric car fire, so the car is not able to run. This seems strange, as there are definitely hybrids and electrics driving on the streets of Long Beach. While I understand the need to keep the racing safe, and an electric race car certainly complicates things, these fire fighters should know how to put out an electrical fire. 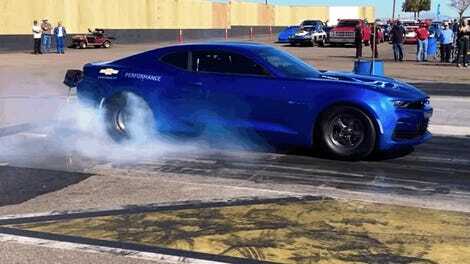 Let my large electric Camaro son race, you heathens!